The man was 70 or so. She was bedfast, dying of cancer. He and I spoke as a hospice nurse made her visit. with only limited support from others. a role that had begun a year before. 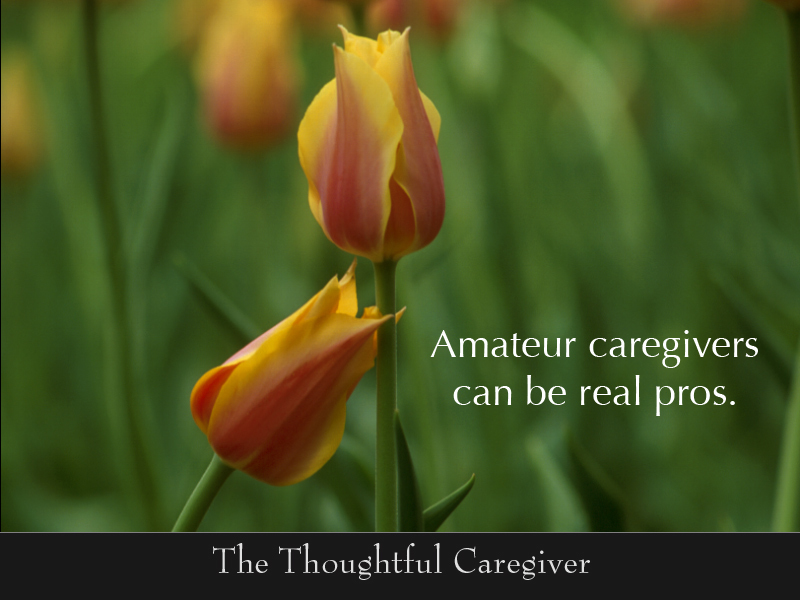 “Oh, I’m not a real caregiver,” he said. we’re hardly more than amateurs. what the word “amateur” has always stood for. 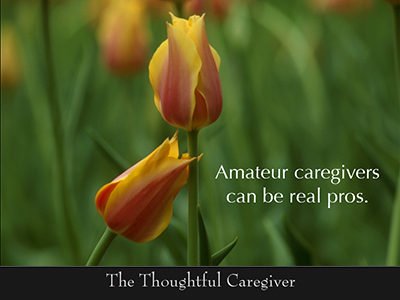 Caregivers like us are those who do this work not for pay but for love. weekends and holidays without fail. what those who are less immersed in our own situation may not. that these others may lack the opportunity to gain. as well as at the center of all true healing. This entry was posted on July 6, 2007 at 8:37 am and is filed under Caregiver Truths, Validation. You can follow any responses to this entry through the RSS 2.0 feed. You can leave a response, or trackback from your own site.